Donald Trump said on Thursday that the United States should back Israeli sovereignty over the Golan Heights, seized from Syria in 1967. The dramatic shift mirrors Trump’s decision in December 2017 to recognize Jerusalem as the capital of Israel and to move the US Embassy to the city, which delighted Israel but infuriated Palestinians and many Arab political and religious leaders. The Golan announcement is likely to further complicate Trump’s long-awaited plan to resolve the Israeli-Palestinian conflict. The Golan Heights were part of Syria until 1967, when Israel captured most of the area in the Six Day War, occupying it and annexing it in 1981. That unilateral annexation was not recognized internationally, and Syria demands the return of the territory. Syria tried to regain the Heights in the 1973 Middle East war, but was thwarted. Israel and Syria signed an armistice in 1974 and the Golan had been relatively quiet since. In 2000, Israel and Syria held their highest-level talks over a possible return of the Golan and a peace agreement. But the negotiations collapsed and subsequent talks also failed. Security. 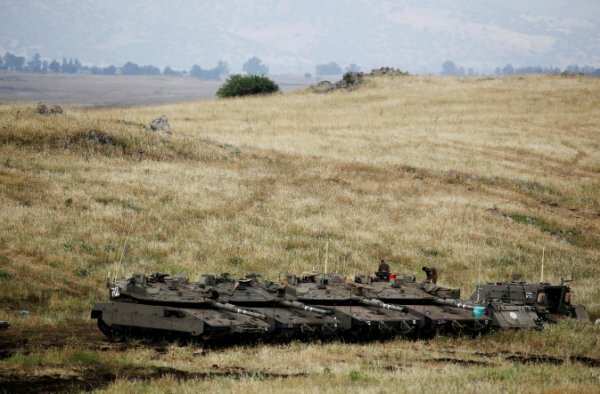 Israel says that the civil war in Syria demonstrates the need to keep the plateau as a buffer zone between Israeli towns and the instability of its neighbor. 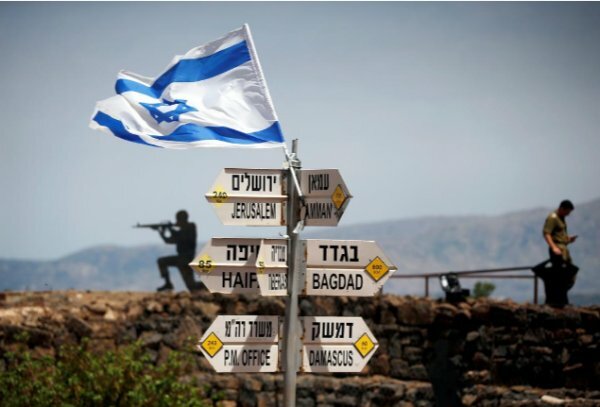 Israel’s government says it also fears that Iran, an ally of Syrian regime leader Bashar al-Assad, is seeking to establish itself permanently on the Syrian side of the border in order to launch attacks on Israel. Both sides covet the Golan’s water resources and naturally fertile soil. 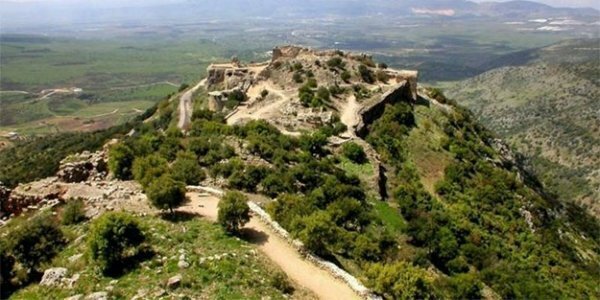 Syria insists that the part of the Golan held by Israel remains occupied territory and has demanded its return. More than 40,000 people live on the Israeli-occupied Golan, more than half of them Druze residents. The Druze are an Arab minority who practice an offshoot of Islam and many of its adherents in Syria have long been loyal to the Assad regime. After annexing the Golan, Israel gave the Druze the option of citizenship, but most rejected it and still identify as Syrian. About another 20,000 Israeli settlers also live there, many of them working in farming and tourism. Before the outbreak of the civil war in Syria in 2011, there was an uneasy stand-off between Israeli and Syrian forces loyal to regime leader Bashar al-Assad. But in 2014 anti-government Islamist rebels overran Quneitra province on the Syrian side. The rebels forced Assad’s forces to withdraw and also turned on UN forces in the area, forcing them to pull back from some of their positions. 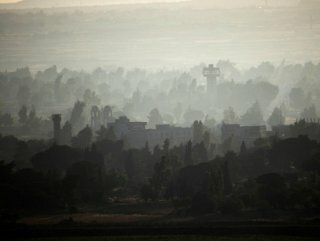 Assad’s forces are now back in control of the Syrian side of the Quneitra crossing, which reopened in October 2018, while United Nations forces are still carrying out refurbishment works to positions they were forced to leave years ago. Although Israel signaled that it would not impede the Syrian army’s return to Quneitra, it has repeatedly expressed concern that Assad may defy the U.N. armistice, or let his Iranian and Lebanese Hezbollah allies deploy there. A United Nations Disengagement Observer Force (UNDOF) is stationed in camps and observation posts along the Golan, supported by military observers of the United Nations Truce Supervision Organization (UNTSO). Between the Israeli and Syrian armies is a 400-square-km (155-square-mile) “Area of Separation” often called a demilitarized zone in which the two countries’ military forces are not permitted under the ceasefire arrangement. The Separation of Forces Agreement of May 31, 1974 created an Alpha Line to the west of the area of separation, behind which Israeli military forces must remain, and a Bravo Line to the east behind which Syrian military forces must remain. Extending 25 km beyond the “Area of Separation” on both sides is an “Area of Limitation” in which there are restrictions on the number of troops and number and kinds of weapons that both sides can have there. There is one crossing point between the Israeli and Syrian sides, which until the Syrian civil war broke out in 2011 was used mainly by United Nations forces, a limited number of Druze civilians and for the transportation of agricultural produce.